April 15, 2019 -- James Jackson Jeffries was an American professional boxer and World Heavyweight Champion. He was known for his enormous strength and stamina. 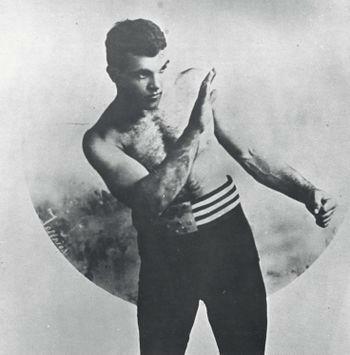 Using a technique taught to him by his trainer, former Welterweight and Middleweight Champion Tommy Ryan, Jeffries fought out of a crouch with his left arm extended forward.